The company is a reliable source for obtaining the best quality Energy Drink. Based on Dextrose, Zinc and vitamin C, the Energy Drink provided by us is a great source of energy. Quality-tested by experts, the Energy Drink available with us is a family health drink that supports immune system and increases the energy level in the body. 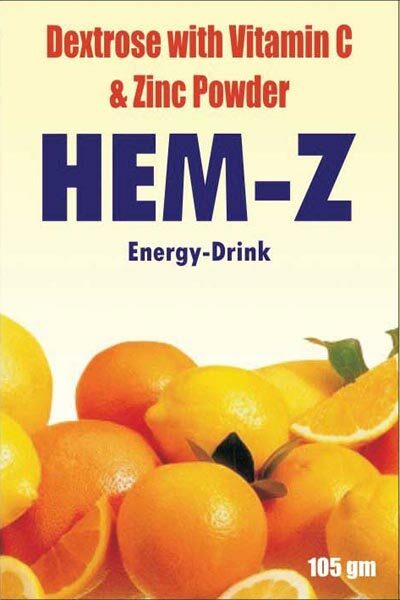 The Energy Drink is offered under the brand name HEM Z and can be availed in a number of tasty flavors such as orange, mixed fruit etc.